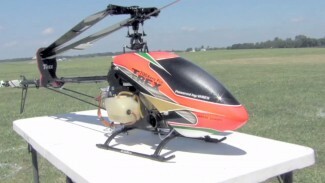 David Henderson performs with his TREX 700 RC helicopter. This RC heli flies smooth, yet very powerful. The two stock 700 fuel tanks provide the TREX 700 with a flight time of 8-10 minutes. Watch as David shows off the power off this RC helicopter in this RC video from RC Hobby Network.